The actual stamp collection of John N. Luff, even today, forms the backbone of The Philatelic Foundation’s reference collection. The impact this man continues to have on this hobby is hard to calculate. Suffice to say that it is huge. 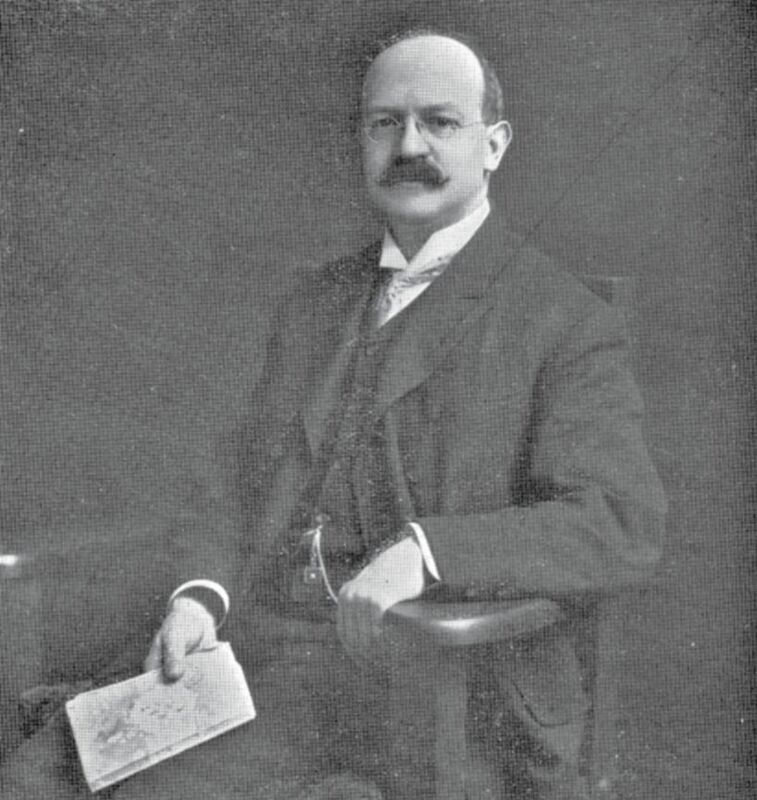 Most philatelists think of Luff in his capacities as the alltime expert on class U.S. stamps, as editor of The American Journal of Philately (second series), and as author of his monumental The Postage Stamps of the United States (1902). They don’t realize that it all began when Luff entered the stamp dealing community in 18 after a stint (true) as a goldmining prospector in California. In 1894, he became head of the approval department of the Scott Stamp & Coin Co. Luff was president of the Philatelic Society, New York, a rival to the older National Philatelical Society. The two clubs decided to establish a facility at which both clubs could each have offices, libraries, and meeting rooms. Luff joined others in establishing the Collectors Club in 1896 to fulfi ll these purposes. By the early 20th Century, both the NPS and PSNY had dissolved, ceding their property and libraries to the CCNY. Luff was its president in 1906-1907 and again in 1922-1925, and was a long-time governor. At his death, he was its Honorary Life Governor. Luff was a judge at the international philatelic exhibitions in London (1923) and New York (1926). He was among the organizers and directors of the 1913, 1926 and 1936 (TIPEX) international exhibitions in New York City. A long-time member of the APS, Luff was its official expert for many years and its president from 1907-1909. In his honor, the APS named its most prestigious award the Luff Award. He was one of the original group of philatelists who signed the Roll of Distinguished Philatelists in 1921.